I'm pleased to announce that we have acquired the assets of Silverain Technology. 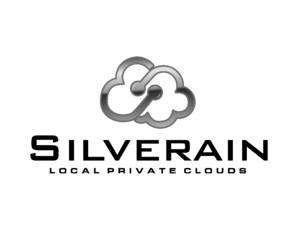 Silverain is a dedicated IaaS provider in Perth, Western Australia with some great customers in the mining, oil and gas industries. For some time we've recognised the great work undertaken by the Silverain team and have been impressed with what they have achieved. When the opportunity arose to acquire the business we saw some great synergies and decided to acquire the business. They utilise very similar technologies including VMware, Veeam, DELL and so are a great fit into our ecosystem. Interestingly, 2010 must have been the year to create cloud companies as Silverain began life four months after Zettagrid. However, Silverain took a different approach to cloud and focused on providing dedicated private clouds for mid-tier and enterprise customers. Zettagrid has traditionally implemented the large scale shared model. However, the dedicated instance (almost bare metal) approach is something that many customers and partners have asked about. There are positives for both types of cloud implementations. Typically this is cost vs resiliency and flexibility but this acquisition will certainly equip us with some further experience to develop some new offerings around dedicated clouds. As part of this acquisition, we've inherited two new data centre zones in Perth. Strangely these data centres are ones we've never used before! And we are in 5 just in Perth! It just shows you that there are probably too many DCs in Perth. Over time we will consolidate these two zones into our primary Perth zone in NextDC. I'll write another blog about our data centre consolidation project because that is an interesting story in itself. Lastly I wish to thank the Silverain directors, Warrick Pike and Simon MacFarlane who have done a fantastic job building the business and wish them well on all of their other ventures.